If someone told me two years ago that Adam McKay, director and writer of such movies as Step Brothers and Talladega Nights would decide to make an attempt at an Oscar, I would have laughed them out of the room. Hell, even after seeing The Big Short, McKay’s first foray into the biopic genre, my mind is still boggling at the fact that a former SNL writer and best friend of Will Ferrell suddenly decide to produce a movie like this. However, don’t let that deter you in the slightest, as while The Big Short is quite the anomaly, it is absolutely one that needs to happen more often from McKay. Based off the nonfiction book of the same name, The Big Short chronicles the years leading up to the 2008 housing bubble. Beginning in 2005, the film begins with Dr. Michael Burry (Christian Bale), a socially awkward hedge fund manager discovering the warning signs that not all is well in the financial sphere due to poor loans being put out for sale and other far worse tactics. However, instead of informing the public about this, Burry decides to bet against the housing market, not only screwing over the scheming banks, but possibly making an insane profit both for himself and his clients. While he gets laughed out of many banks for throwing away his money, a few others like eccentric trader Jared Vennett (Ryan Gosling) and anger prone hedge fund manager Mark Baum (Steve Carell) begin to catch on and start to investigate what exactly is happening on Wall Street. While all this sounds okay on paper, the question arises of who would honestly want to watch two hours of financial jargon thrown around and people hanging out in offices? Don’t fret though, as while McKay might be attempting to mature in some ways, his Anchorman-esque humor is still here to stay, making The Big Short far funnier and enjoyable a movie than it should have been. While you will get the typical jokes on the cruder side of things at times (a character goes into detail verbally and with a diagram where his testicles are inflamed), there is plenty of witty banter and jokes. Much to my amusement, the script even pokes some fun at the exaggeration and accuracy of biopics (Looking at you, The Imitation Game), with the characters occasionally breaking the fourth wall to admit that the events unfolding didn’t exactly happen like that in real life. McKay also smartly introduces cutaways peppered throughout the movie that breaks the more dense concepts and situations down in an easy to digest manner. I won’t spoil these here, as these have to be enjoyed as cold as possible, but they work fantastically and provide insight into the financial world in a fun way. 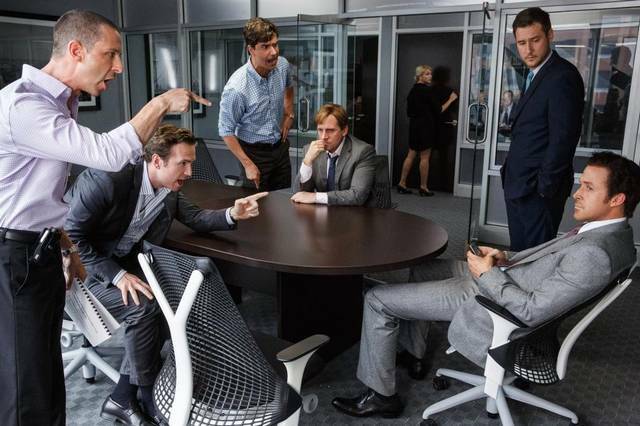 Despite all this, don’t expect The Big Short to be a laugh out loud comedy, as the film mostly uses these more humorous moments to lighten up an otherwise bleak movie. 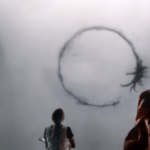 While the movie might seem to be a bit more lighthearted at first, it naturally gets darker and darker as the characters fully realize the scale of the oncoming events. Despite his primarily comedic background, McKay surprisingly portrays these events in a respectable and intelligent manner. 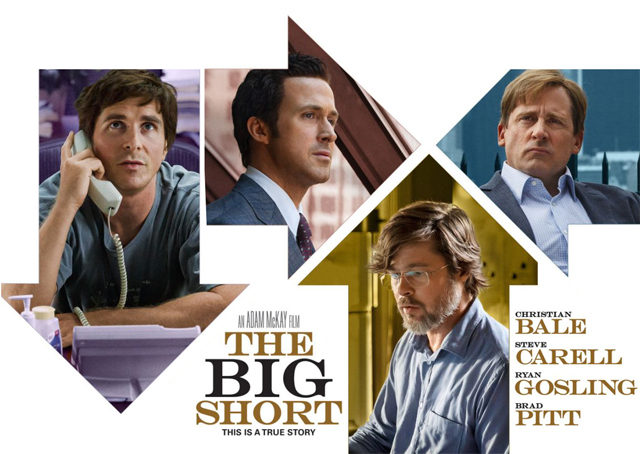 With one of the most star studded casts in recent memory, The Big Short features the likes of Brad Pitt, Ryan Gosling, and Christian Bale, which is a pretty big step up from having Will Ferrell act goofy in front of a bunch of the usual suspects of John C. Riley and Paul Rudd for McKay. Really the only returning actor from his previous works here is Steve Carell, but don’t expect any Brick Tamland antics, especially considering the subject matter at hand. 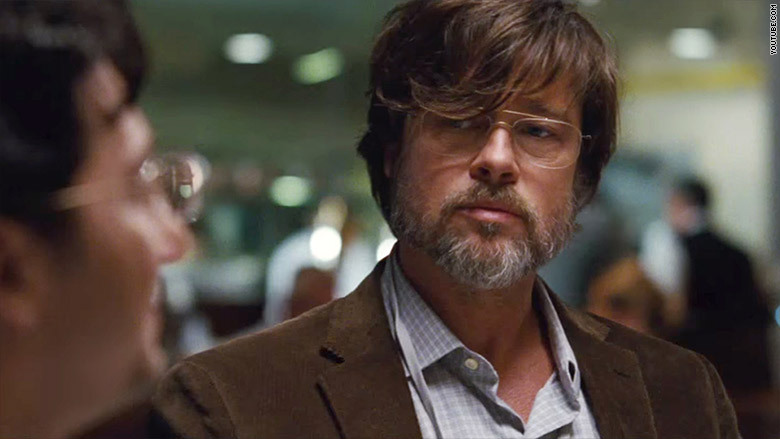 While none of the performances are necessarily groundbreaking or award winning, no one phones it in in the slightest, which is satisfactory enough for the kind of cast that The Big Short boasts. Having not seen Gosling since his post Drive phase where all he did was stay silent and look wistfully at the camera, I was pleasantly surprised by the range he showed off here, as well as his near perfect comedic timing with his role as a self-interested bond salesman. 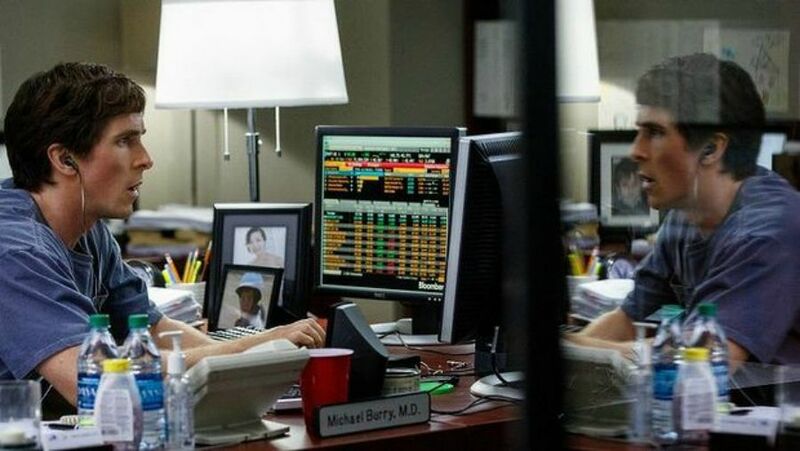 Christian Bale expertly performed his role as the Asperger diagnosed Michael Burry, with all of his dialogue and actions coming off as slightly uncomfortable and awkward as it should. The real star of the film here is easily Steve Carell, showing off the best performance of his career (even topping last years Foxcatcher) as an irritable manager of a Wall Street hedge fund. The fact that he got looked over for an award at this year’s Academy Awards is criminal, and in my opinion, it’s about time he gets more respect from Hollywood. I will have to say that if you are interested in the movie primarily for Brad Pitt, don’t get your hopes up too high. While he does do a good job and is fun, he’s probably the weakest link of the cast, as well as only having about ten minutes of screen time. Although all this makes it sound like I love The Big Short, there was one major factor that drug the entire film down from greatness: the editing. When it comes to editing in films, you know a good job was done when you don’t even notice it. 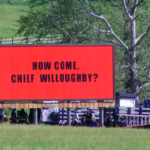 Throughout the movie, there were several moments where extremely jarring cuts were performed, seemingly at random, in some scenes, serving absolutely no purpose and greatly taking me as a viewer out of the movie. Supposedly the editor has gone on record and said that it was for stylistic purposes, but that doesn’t take away from the fact that it was an amateur job done. That also isn’t even mentioning the few continuity mistakes as well, with one example happening fairly early on in the movie when one character is shown picking up a glass at the end of one shot, then picking it up yet again in the following one. 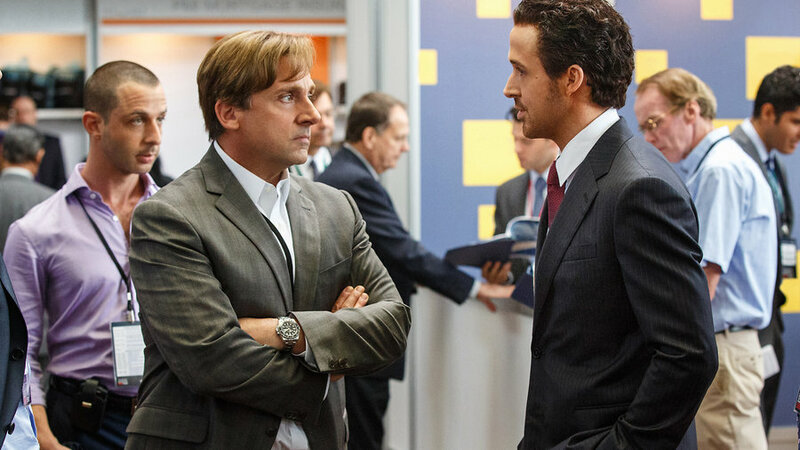 Despite some shoddy editing, The Big Short has managed to surpass almost all of my expectations. With great amounts of wit, intelligence, and good performances, Adam McKay’s latest will no doubt do fairly well come the Academy Awards, possibly even a Best Picture award too with all the success it has been getting in the other award’s circuits. Most importantly though, it shows that there is much more to the eye than previously thought with McKay, and I can’t wait to be surprised yet again with his next hit.